All students are welcomed and encouraged to participate in a youth group as part of their experience at MRT. The connection of each child to their peers becomes more meaningful as they share a variety of social and Jewish experiences together. MRT’s ongoing interest in providing fun and meaningful opportunities for our students to develop friendships and build common ground through shared experiences, is evident in our youth group programming. Programs are developed with joy and community in mind. The calendar for the year will be made available to each family and specific programs are announced in advance and typically require parental permission. Programs may include movies, game days and cultural experiences. MRTSY (Monmouth Reform Temple Senior Youth) is not just a youth group, but a real community. High school students at MRT have the chance to form lasting friendships with other Jewish teens in our community and beyond. 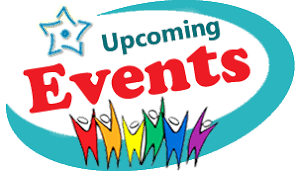 There are a number of amazing events scheduled throughout the year which include trips to Manhattan, social action opportunities, and an overnight stay at MRT. Every member of the youth group takes part in planning and implementing our events and so everyone’s input is valued and helps to create the best experience possible! If you are a high school student interested in joining or if you have any questions, email us at mrtsy@monmouthreformtemple.org. You can RSVP to events via this email address or via Facebook. More info is available on the MRTSY blog http://mrtsy.blogspot.com as well as on Twitter, @MRTSY.